This is a small selection of videos to introduce our methods and some key projects. You can find hundreds of videos from around the world on our YouTube channel or browse our Playlists. This compilation video spans two decades of Participatory Video projects by InsightShare. It was created to give you a sense of the huge range of themes and issues our participants have explored over the years. Contains clips from videos produced by communities across Africa, Asia, Latin America, the South Pacific and Europe. Learn more about participatory video. ‘Pakorpa Susangho’ (Widow’s Cry) was created by widows in northern Ghana to explore the role corruption plays within customary land systems. It was produced during one of a series of projects, designed to enable communities in Africa to examine the intersection between land and corruption, in partnership with Transparency International. This is a short version of the original fifteen minute video. Describes a series of Participatory Video projects with people internally displaced by the 2014 conflict in the Ukraine. The participants produced over half a dozen short videos to share their experiences and contribute towards mutual understanding with their adopted communities. It was part of a wider programme delivered by the German government through GIZ. Watch all the videos on the YouTube playlist. Essential viewing for anyone interested in learning more about Participatory Video. 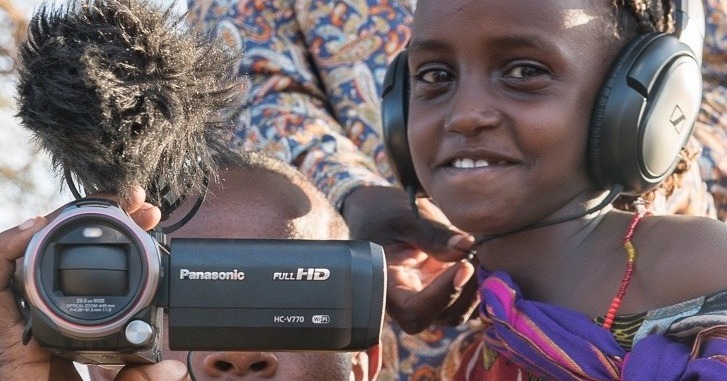 Here we describe how we combine participatory methods with video technology to enable groups and communities to tell their own stories in their own words. If you want to know more about our approach to Participatory Video, please visit our Methods page. This video charts the ongoing development of autonomous community media groups within Yaqui and Comcaac communities. Our partnership with the communities in Sonora began in 2010, with funding from The Christensen Fund, and continues to deepen and develop to this day. This beautiful short video takes us behind the scenes as local facilitators deepen their skills and reflect on why Participatory Video is an important tool for indigenous communities. To watch the incredible videos produced by communities, check out their YouTube channel. A compilation of three videos made by youth activists in Nepal during a Participatory Video project with Oxfam. As a result of the video project local lobbying efforts have increased significantly (including video screenings) and one local health post has received support for a solar panel and lights. Watch all the videos on the YouTube playlist. InsightShare pioneered the use of participatory video as a tool for monitoring and evaluating complex programmes by beneficiaries. This short video explains how we approach PV for M&E and explains some of its unique characteristics. If you would like to know more about using participatory video for monitoring and evaluation, please visit our Services page. You can download our groundbreaking ‘Participatory Video and the Most Significant Change’ (MSC) guidebook from our Resources page. This short video documents the very first participatory video capacity-building Myanmar (Burma), undertaken in 2013 with support from the Church of Sweden. Representatives of four villages in the Delta region, which remained dependant on aid supplies following Cyclone Nargis, learned to facilitate participatory video; enabling their communities to lobby local and national government for their rights to be upheld. Watch all the Participatory Videos made by Delta communities in Myanmar on the dedicated playlist. This is the full TEDx Talk by Chris Lunch (Co-Founder of InsightShare) in 2013. Chris believes in the power of combining technology with participation to shift awareness, galvanise communities and unleash hidden energy for positive individual and collective change. The title of his talk: ‘This is NOT a video camera’ takes inspiration from surrealist artist Rene Magritte’s painting ‘Ceci n’est pas une pipe’, as he asks us to re-look at what we think we know about this technology.